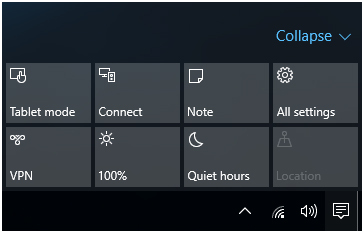 Nowadays Windows 10 users are suffering from a very odd issue, in this situation, users get unable to see the title bar buttons such as “Minimize, maximize/restore, close” and many apps get minimized automatically to the taskbar when a sub-window is opened. These both issues are very irritating and annoying, in this blog you will get the complete solution to fix these both problems so read the below-given solution and apply them as given to get rid of these Windows 10 errors. Generally when a user executes any modern or metro apps in full windows then “title bar” or caption (minimize, maximize/restore or close) available on the title bar gets inactive. Another case is, when the user opens a sub-window of any running application then main windows of the application get minimized automatically. If you are facing above discussed problems on your Windows 10 device then don’t worry because these are not a problem, actually, these are the features developed by Windows 10 known as “Tablet Mode” (aka Continuum) feature. These features are specially designed for the touch-enabled device such as Windows 10 tablet and others. This feature works like a bridge between the PC and the touch-enabled device. When you turn on this Tablet Mode then all modern applications open in full Window mode and so that occasionally the main app’s window gets minimized automatically if user opens any of its subwindows. Open the Action Center(or Notification Center), to do this click on the Action Center icon from Taskbar notification area. After it, click on the “Tablet mode” tile to stop the tablet mode. Open the settings app, to do this you have to press the WIN+Ikeys together. 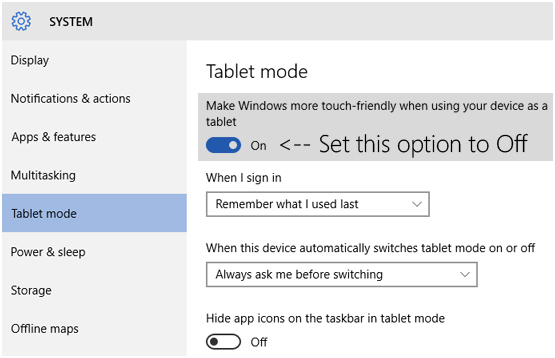 After it, go to “System -> Tablet mode” part and set the choice “Make windows more touch-friendly when using your devices as a tablet” to Off. Above given methods are able to disable the Tablet Mode feature, and after turning off this mode the above-discussed problems (lost title bar buttons and automatic minimization of programs) to Taskbar will be fixed. Step 1: First you have to open the Setting of your Windows system by pressing the Windows key + I. 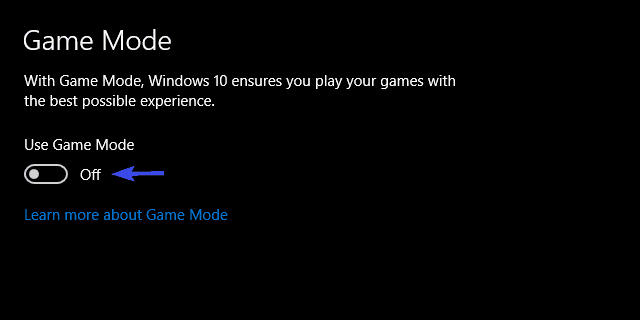 Step 2: Select Gaming and open Game Mode from the left pane. Step 3: Toggle ‘Use Game Mode’ off. Step 1: First you have to go to the game’s installation folder, the location is generally C: Program Files. After it, you have to find out the main EXE file. Step 2: Right-click on the EXE file and select Properties. Step 3: Go to the Compatibility tab. 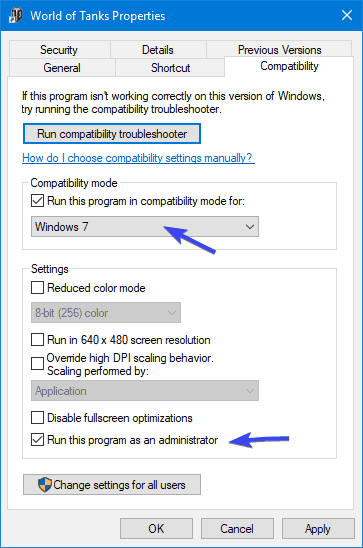 Step 4: Select the “Run this program in compatibility mode” and then choose Windows 7 from the drop-down menu. Step 5: At this step, you have to mark on the box next to “Run this program as an administrator”. Step 6: At last you have to save the changes and restart the game. You will see that the game gets minimized. 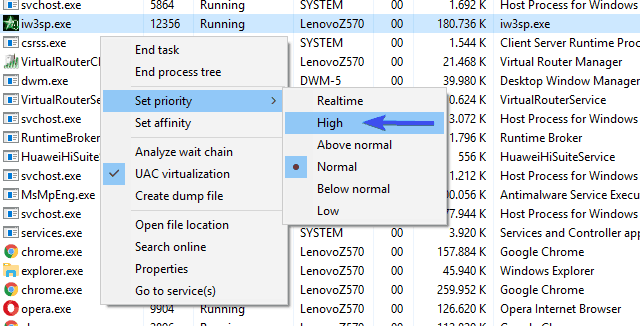 Step 2: Now, you have to right-click on the taskbar and then open Task Manager. Step 3: Pick the Details tab. Step 4: At this step, right-click on the game process and select the Set Priority > High. Step 5: Now, try to run the game again. 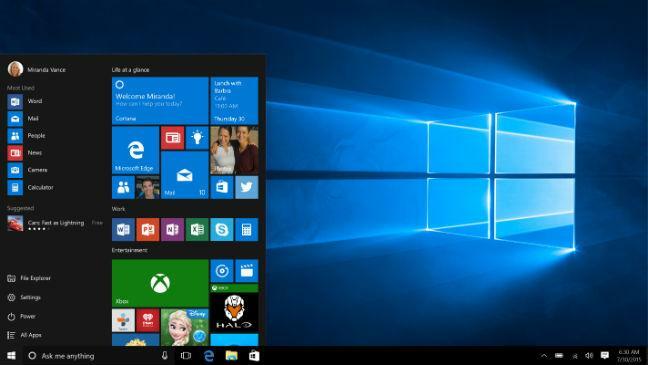 Scan your Windows 10 Device for better performance, it is observed that after using Windows 10 a couple of month system performance decreased and you may face many other apps errors. 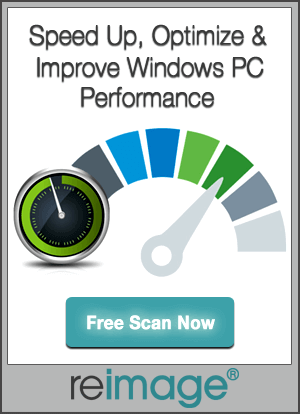 To enhance the PC speed and performance it is recommended that scan your Windows 10 device after a fixed time of interval. Try professionally programmed Windows 10 Device Repair Tool and scan your device, this tool will fix all the problems/ errors that generate internally while using the device. 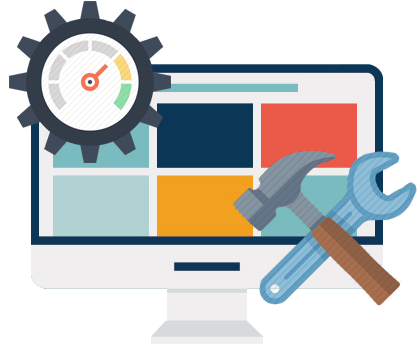 It is the tool that maintains your computer and protects it from any types of error, even a new user can operate this tool because it is very easy to understand user interface. So it is suggested to download it and scan your PC.